They do so for two principal reasons: either out of a totally superficial understanding of Christianity or because of sin. A superficial understanding of Christ rejects Him and flees from Christ as does a criminal from a judge. Superficial and sinful Christians were as often enraged and infuriated with Christianity as were the pagans. To the superficial and culpable, it was more comfortable for them to bathe in the shallow swamp of human thoughts than in the perilous depth of Christ. For those who sincerely follow Christ, He constantly calls them to a greater and greater depth; as He once said to the Apostle Peter, "Put out into deep water" (Luke 5:4). 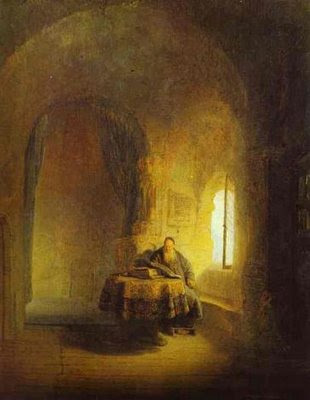 St. Mark the Ascetic writes that the law of God is understood in accordance with the fulfillment of the commandments of God: "Ignorance compels a person to speak in opposition to that which is beneficial and insolence multiplies vice."